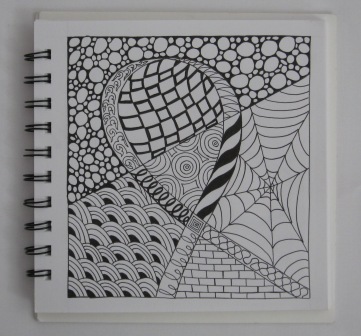 I took a try at drawing my first Zentangle. I have been following a few blogs that explain the technique. One that I like is a Canadian lady http://iamthedivaczt.blogspot.com/ . She gives a weekly challenge on Monday and then posts a slide show on the Sunday. You can sign up and then post your finished tile. I can not keep up and get one done in time. But I love to look. I have not been able to keep up to Every Day Journal. I thought I would try some doodle drawing. It is a lot like quilting free motion. I can see trying out some line with quilting in mind. 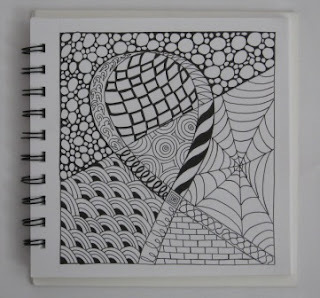 I have spider webs on the brain these days.